This camp will focus on introducing players to the foundational techniques required to become a dynamic shooter. Many players get stuck utilizing only one or two different shots throughout their minor hockey career, this can severely limit a player from reaching their full potential. The best shooters in the game can quickly release pucks in any given situation, shooting off either foot, forehand or backhand in a variety of game like situations. Developing a well-rounded shot selection is important for every player’s skill inventory. Players attending this camp will receive 4 on-ice Skill sessions and a Hockey Alberta jersey. This camp is open to 2005-2010 born players. 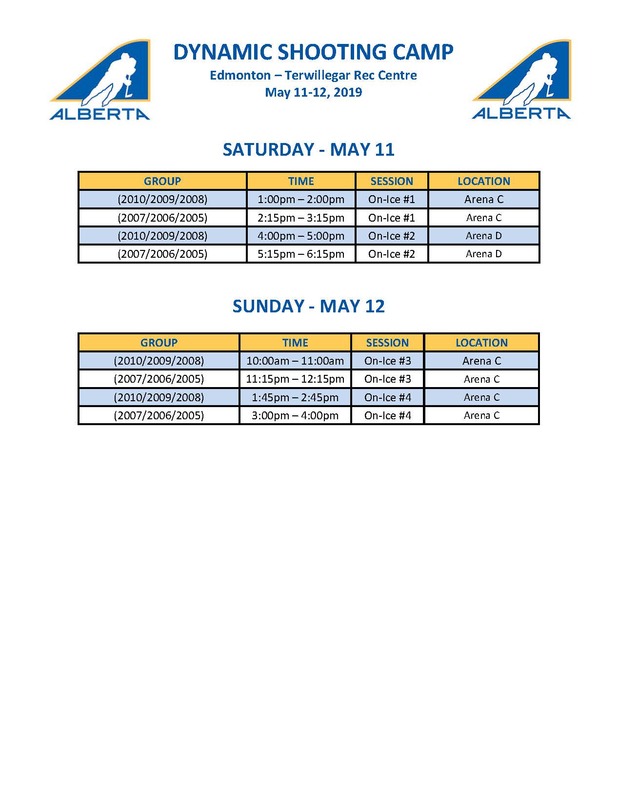 If you must withdraw from a camp, please contact Hockey Alberta for a full refund less $30.00 administrative fee up to 48 hours prior to the camp starting or $60.00 from 48 hours to the start of camp. A full refund will be issued if Hockey Alberta cancels a program.